Ear mites are tiny, crab-like parasites that can live in your dog’s ear canals feeding on earwax and other secretions. Ear mites don’t usually bite, but they can cause severe inflammation and discomfort. While they’re troublesome and persistent, they’re easily diagnosed and you can treat them at home. Is your dog shaking their head or scratching their ears excessively? Check whether there’s a smell coming from their ears, or if you can see a thick, crusty substance that looks a bit like ground coffee. If so, they’ve probably got ear mites. First, visit your vet to make sure that the problem isn’t caused by an infection instead. 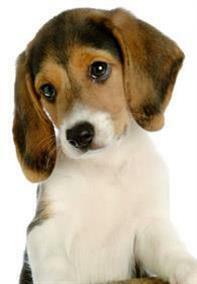 If your diagnosis is confirmed, your vet will clean out your dog’s ears and prescribe anti-mite eardrops. It’ll take 4-6 weeks to get rid of the ear mites completely – but watch out, they may take up residence somewhere else instead, like at the base of your dog’s tail. So you’ll also need to use flea powder or spray on your dog’s whole body, as well as on any other furry pets you have.